Is Matcha Better For You Than Coffee? Tea or coffee? It’s the age old question, but if the lines at Starbucks are anything to go by, coffee would be the resounding winner. In fact, even England, the land of tea, has been making the switch, with more with more of the English trading in their beloved herbal oolongs and pekoes for the caffeinated boost of java. However, there is one tea on the market that may give the ol’ cup of Joe a run for its money. 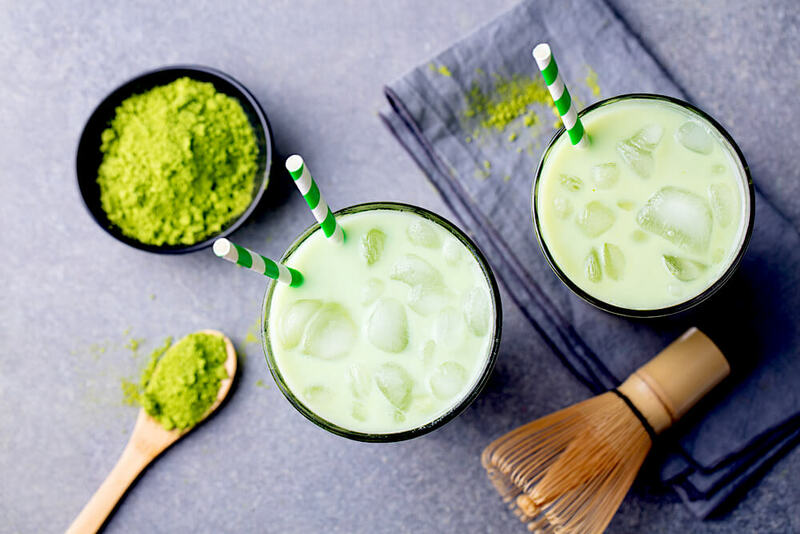 Matcha green tea is the latest beverage to come up against coffee as the energizing superfood drink of a new generation. Is coffee a match for matcha? Here are some of the facts about matcha green tea. Usually, when you brew your tea, you leave the best of it in the bag. Water can only extract a fraction of the benefits of the leaves, and the majority of antioxidants and minerals often remain unused. Matcha is made unheated stone ground tea leaves, which are far less processed than regular tea leaves so nutrients are preserved. Thus, by drinking match, you are getting all the superfood benefits of the leaves. When it comes to antioxidants, you really can’t get much more free radical defense than you’ll find in matcha. Even goji berries and pomegranates pale in comparison to the uber powerful beverage. One cup of matcha has a ten times as many antioxidants than the usual brewed green teas, and way more than coffee. Coffee doesn’t contain the catechins found in matcha, which are linked with cancer and aging defense. While matcha does have an equal amount of caffeine a a cup of brewed coffee (34mg) and half the amount of an espresso, the buzz lasts longer and is more energizing. The amino acid L-Theanine in matcha slows down the release of caffeine and also has its own calming effect. Skip the mouthwash! The catechins in matcha also act as a sterilizer. A cup of the tea after a meal can slow down the growth of disease and halitosis causing germs. Claims to boost metabolism and burn fat are attractive features in almost any product. According to a study in the American Journal of Clinical Nutrition, consuming match tea increases the body’s rate of calorie burn from a normal 8-10% of expenditure per day to between 35 and 43%. Another study showed that exercising immediately after bolting down a cup of matcha led to an increase of 25% more fat burned during exercise. Not just for tea time, you can get your matcha in your snacks and meals. Blend the green powder into frozen yoghurts and smoothies, add to porridge, and even cakes. It can even be used as a topical beauty treatment. Matcha supports the reduction of bodily toxins and encourages glowing skin, which makes it great in face masks. Have you enjoyed the benefits of matcha? How did you get your dose? Does it give coffee a run for the money? Let us know what you thought of the latest beverage to hit the market.